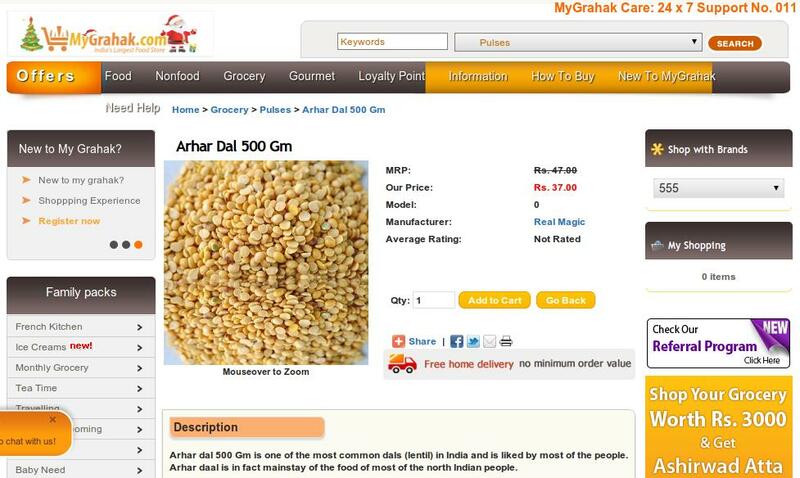 Now, Delhi and NCR residents can shop for groceries online, with MyGrahak.com, the online grocery store. Although there are numerous websites of this sort that cater to major metros in India, MyGrahak has significant features which make it different and more reliant. The website has an excellent delivery system and gives free delivery no matter how small the purchase maybe. Delivery is guaranteed within 48 hours and through the website’s own GPS enabled vehicles. The product range is very good with 10,000 different items available for purchase and an expansion to 35,000 items being planned. Furthermore, there is a 4% discount on all FMCG items apart from the regular company discount available. One can rest assured the products delivered would be of superior quality. There is MyGrahak advisor support which is quick to respond and gives advice on health and herbal purchases. Since the store is online, one can shop from anywhere and there are higher discounts than at a neighbourhood shop or supermarket. It also offers a customer more personalised attention than you’d get anywhere else. The bill payment can be made via netbanking, credit cards or even cash on delivery. It’s very important for the customer to be home when the purchases are delivered, however. The website offers gourmet options as well and family packs on various items. Overall, it’s a much more convenient and stress free method of shopping for everyday items. One can check out schemes and deals anytime, and with the product range, it’s definitely a great place to shop.